A film crew was robbed at gunpoint on Wednesday while shooting a video about Houston pride. 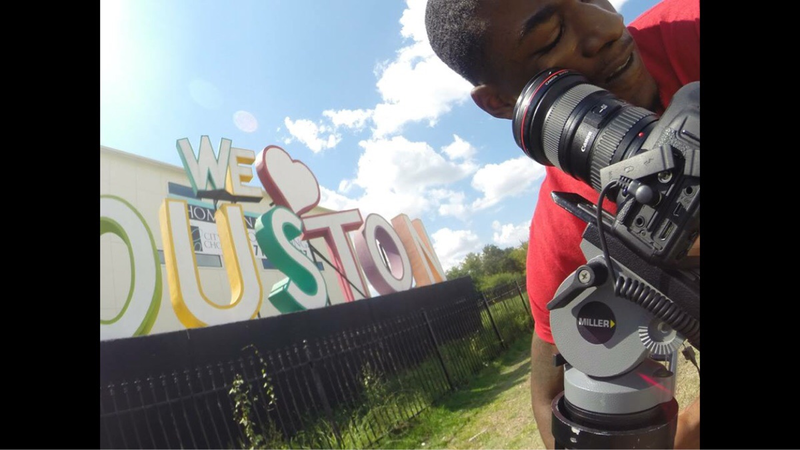 The crew was filming in front of an "We love Houston" sign when they were approached by a man with a gun who took two Canon cameras and a GoPro. Zach Jankovic of the Cut to Create production told the Houston Chron that he was with three other crew members when they were approached by a man with a handgun. He said nearby construction workers said they saw the man drive off in a late-model maroon Nissan Altima that had been parked on the street most of the morning. "It’s ironic we were there filming a video about how awesome Houston is when it happened,” Jankovic said. Jankovic said the crew happened to be rolling a behind-the-scenes time-lapse video on the GoPro and caught an image of the suspect.